Apple cider vinegar has long been a favorite natural remedy for an extraordinary number of ailments. It has been used to treat bacterial and fungal infections, hyperacidity, warts, fatigue, cancer, to clear acne, cure hiccups, lower blood pressure, get rid of dandruff, on sunburns and to treat leg cramps, to name just a few. Apple cider vinegar has been used for centuries and is made from fermented apple mash. It contains acetic acid, vitamins, minerals, amino acids, polyphenols and other types of acids. The “mother” fluid is a product of a long fermentation process and will often look cloudy because of the non-infectious and non-toxic bacteria (the probiotics) that it contains. Other, “non-mother” products are filtered to remove the cloudiness and may be less beneficial. Evidence is beginning to pile up for at least some uses of apple cider vinegar—commonly known as ACV. Many professionals will recommend, however, that you only use the “mother” ACV and not any filtered ACV products. Many of the uses for ACV is to fight infections, particularly skin infections—since ACV is high in acetic acid, it is very likely that ACV can kill off bacterial, fungal and viral infections because the acid in ACV is absorbed and directly kills off any infectious agent. This is likely to explain the traditional use of ACV on skin infections. Using ACV on wounds may also be useful in preventing infections because of its acidity. 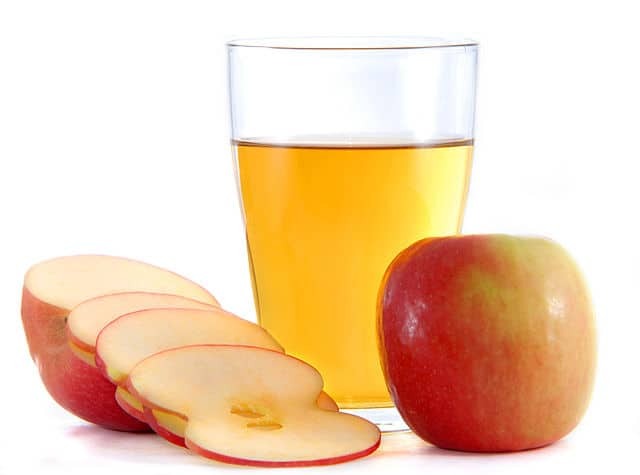 ACV is also used to treat hyperacidity (heartburn). To use ACV for heartburn, the recommendation is to add about 1 tablespoon of ACV to 6 ounces of water and drink it about 20 minutes before a meal—this actually stimulates a normal amount of acid in the stomach. Finally, some research has indicated that drinking diluted ACV can help in weight loss, but the effect was small (about 1-2 pounds) and those that lost weight gained it back quickly. Recent research has indicated that ACV can significantly reduce blood sugar levels after a starchy or a high glycemic index (GI) meal but not after a low GI meal. Other research has indicated that ACV can decrease the A1c value when it is used regularly. This effect seems to hold true in both T2D and T1D. Vinegar taken at bedtime also seems to reduce blood sugar levels measure the following morning. ACV seems to do this mainly by improving insulin sensitivity—making cells more responsive to the signals from insulin. Is ACV Safe to Use? Yes—ACV as a liquid is very safe to use as recommended. There are no reports of side effects. Don’t however, use the ACV sold as a tablet. First, there is very little ACV in those tablets and second, there has be a report of a ACV tablet that got stuck in a woman’s throat—the acid caused a burn, so it is best to avoid the tablets. Which ACV is best? How is ACV best used? The most popular brand of ACV used is Bragg’s organic ACV. You should get the “mother” liquid for the most benefit. There are two ways to use ACV. Use it as a food: Add ACV as a salad dressing, marinade or in a smoothie—usually 1-2 teaspoons are used. Include 1-2 servings of an ACV-added food every day. Use it as a beverage: Take 1-2 teaspoons and add it to about 6 ounces of water. If it is too tart, try adding some stevia to it. You can do this 3-4 times a day. Can apple cider vinegar prevent diabetes? There haven’t been any studies on using ACV to prevent diabetes, but since it appears to improve insulin sensitivity, it may be useful in prediabetes and in slowing down the progression of diabetes, but at this point, that is really more speculation than fact. No studies in that area, but using ACV as a food is likely to be safe. ACV is one of those super foods that is recommended for almost every condition. I hope you give it a try. Johnston, Carol S., and Cindy A. Gaas. “Vinegar: medicinal uses and antiglycemic effect.” Medscape General Medicine 8.2 (2006): 61. Liatis, Stavros, et al. “Vinegar reduces postprandial hyperglycaemia in patients with type II diabetes when added to a high, but not to a low, glycaemic index meal.” European journal of clinical nutrition 64.7 (2010): 727-732. Johnston, Carol S., Andrea M. White, and Shannon M. Kent. “Preliminary evidence that regular vinegar ingestion favorably influences hemoglobin A1c values in individuals with type 2 diabetes mellitus.” Diabetes research and clinical practice 84.2 (2009): e15-e17. Mitrou, Panayota, et al. “Vinegar decreases postprandial hyperglycemia in patients with type 1 diabetes.” Diabetes Care 33.2 (2010): e27-e27. I was reading articles last night regarding this on diabetes websites which said similar affects are accomplished with wine vinegar, which I use almost daily, which maybach count for normal readings I get after dinner. So for now, I will stay with my wine vinegar and keep my money in my pocket. How do you use wine vinegar? in a dressing or just drinking it?